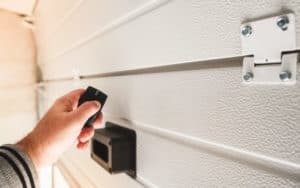 Home » Blog » Belt, Chain, or Screw Drive Garage Door Opener? There are three common types of drives for your garage door opener – Belt Drive, Chain Drive, and Screw Drive. Before you choose one, take into account how you use your garage and how often you open and close it. 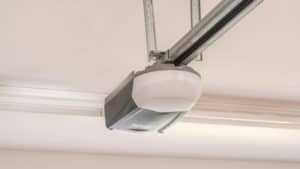 Belt-Drive Garage Door Openers – Belt Drives often chosen specifically because it operates very quietly. Rather than using a chain, it utilizes a rubber belt. This makes a smooth, quiet performance for homeowners who value a peaceful environment and use their door frequently. The biggest drawback is the higher cost. Chain-Drive Garage Door Openers – Chain Drive openers are the oldest and still a favorite. The option provides an affordable opener that consistently provides good quality performance. One drawback is its operation can be noisy, however, some homeowners, enjoy knowing when the door is being used. Screw-Drive Garage Door Openers – Screw Drive garage door openers are a great choice for homeowners who are willing to pay a little more for quieter performance. It has fewer moving parts and does not require much maintenance. Ideal for families that value quiet but need to open and close their garages frequently, belt drives move the door with a strip of polyurethane, fiberglass, or reinforced rubber. This strip moves the trolley that is linked to the J-arm, which raises and lowers the garage door. The material in the strip is designed to minimize the number of vibrations that occur when it is moving the door, making the process almost perfectly silent. This model is only marginally more expensive than louder versions of the same technology. Belt openers are an especially good choice if you need to open your door frequently or late at night. A loud opener won’t be much of a problem at 5 PM, but if someone needs to come home at 1 AM, it will wake the entire house up. Thus the greater the potential for lost sleep or focus, the more important it is to get a belt drive. Chain openers use a similar mechanism compared to belt drives, but in place of a strip, they use a metal chain. Chains tend to vibrate more than synthetic strips, making this the loudest opener for your door. It is also, however, the cheapest device on the market. Homeowners thus tend to opt for chain drives if they are trying to save money, or if their garage is detached from the rest of the house, making silence less important. Some homeowners may even prefer the noise from a chain drive, as it alerts them when a family member arrives home. It is also worth noting that new technologies have progressively reduced chain drives’ noisiness, making them more advantageous each year. Whereas chain and belt drives pull and push your garage door, screw drives use a trolley mechanism. A motor moves the trolley, which carries a steel rod that is connected to the door. Mechanically speaking, screw drives are the simplest openers on the market, making them easier to maintain and repair. They are, however, the most expensive devices available. Deciding whether to use one thus requires choosing between high installation costs in the short term and reduced effort and expense in the long run. Screw drives are also more vulnerable to changes in temperature, making them a bad choice if you live somewhere with extreme weather. For more information on belt, chain, or screw drive garage door openers, contact Action Garage Door Repair Specialists today!